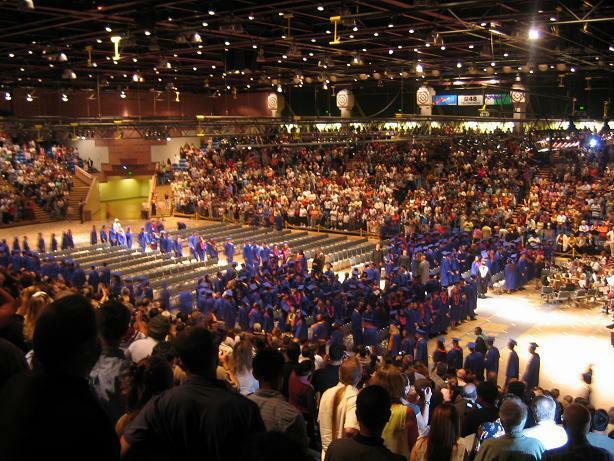 06-07-2006 - Congratulations To The Class of 2006! Will We Stay Friends Forever? Last Monday night, I watched my daughter walk across the stage to accept her high school diploma with many of her high school friends and classmates. One might call it a bittersweet moment. I call it "another step forward on the road of life." The thing the kids worried about the most was losing touch with their friends after graduation as everyone goes their separate ways. "Everyone is going to different colleges and stuff so I'm worried about not spending enough time together after we graduate (from high school)," I heard one young lady say that night. It is perhaps a bittersweet learning experience. The challenges of keeping in touch, experiencing new things separately, and discovering new opportunities means that the graduates and their friendships will mature. My daughter and her friends have spent the past few weeks talking often about the future... and have spent as much time as possible together before the graduation ceremony. They'll spend more time together over the summer for sure. Soon, they'll use the internet for e-mailing and chatting... and will have plans to call one another often after they move away to college. Looking ahead, things will eventually evolve for everyone. Some will hang onto old friendships. Others will have the opportunity to meet lots of new people... all the while hoping to form lasting relationships. Life will move on and progress for everyone. The kids will transition to adulthood. They will begin to experience real life as we have 25 years ago. It isn't the end... this is only the beginning.